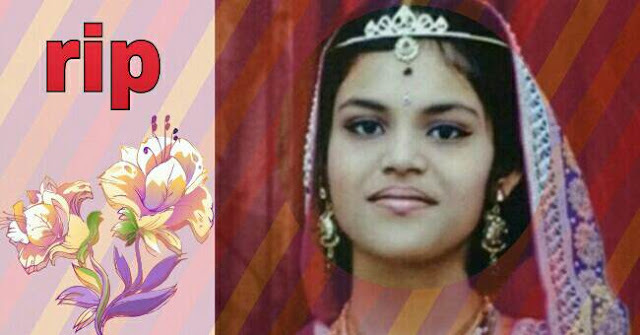 A 13-year-old Jain girl died in Hyderabad after observing a 68-day fast.The girl, Aradhana, observed the 'Chaturmas' fast to bring good luck to her family.Her parents had asked her to observe the fast on advice of a priest. The girl, Aradhana, observed the 'Chaturmas' fast to bring good luck to her family. Her father, Laxmichand Sansadiya, had recently suffered huge loss in his jewellery business. A Chennai-based priest had advised the girl's parents to ask their daughter to observe the 'Chaturmas' fast in order to recover from the loss in business and earn huge profits. Aradhana's 10-week long fast ended on the 3rd October and it was celebrated with a huge event at their house called 'Paarana'. The event was also attended by Padma Rao, a Telangana minister from Secunderabad area. The doctors declared her 'brought dead'. A complaint has been lodged by the child rights' association seeking immediate action against Aradhana's parents.